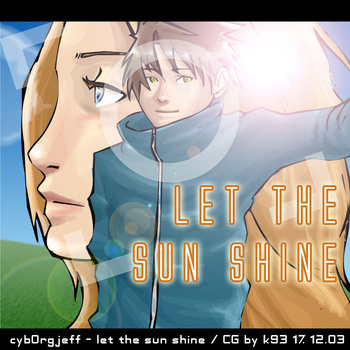 "Let the sun shine" is one of the most first conceptual musical album of Cyborg Jeff (Pierre Martin). Completly oriented on Dance Music, you'll find there only hits ! But close to those tracks there are also a kwel cover realised by K93 (Steve Kossouho) and the first mini promotionnal website for a Cyborg Jeff's album, so well in 2003 it was the best Cyborg Jeff's CD album. You'll find there the original track Let the sun shine also available on the album "Past, Present, Future) but also some remix versions from the finish musician Little Bitchard and a bonus version realised by the german Genetic Gemini. This album also starred the versus duo of Gdream and Cyborg Jeff especially with the dance cover of L'amour est un soleil from Hélène Segara.